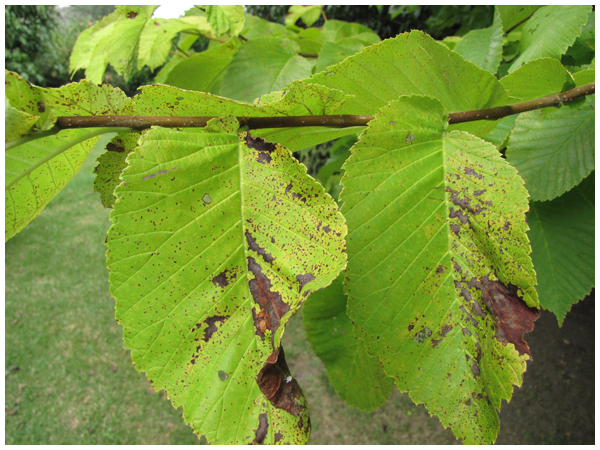 Elm Leaf spot (Phloeospora ulmi) mostly affects cultivars of the Ulmus Glabra. Weeping Elms “Camperdownii” are highly susceptible it will also affect Golden Elms “Lutescens“. The disease is becoming more widespread particularly when conditions are humid – the problem becomes evident from late summer onwards causing premature leaf drop and ruined foliage. This fungal disease is damaging Weeping, Golden and now English elms. 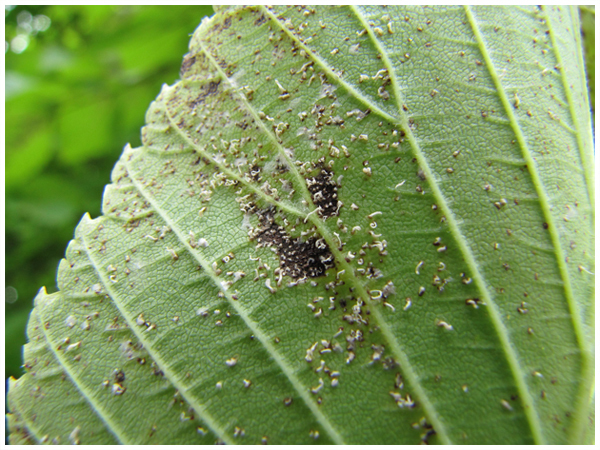 If your tree has been treated for Elm Leaf Beetle, it is still vulnerable. Golden Elms tend to be less susceptible but when compared to a healthy tree it is very obvious, as with weepers they will suffer premature leaf drop when they should be looking at their best. Symptoms can also be seen on the under side of the leaf as well, white hyphal threads and the pustules that release ascospores will spread this disease by wind infecting future hosts that were previously disease free.